1. The new tournament sanctioning process will require electronic submission of sanctioning documents– hand written documents will not be accepted at the State level. All forms can be signed digitally in Adobe Reader. Once all the form's fields are filled out completely, save the document to a location on your computer. The document's fields, once saved, cannot be edited, so please double-check before saving. If something needs to be fixed on the form, you will need to start with a blank form and fill it out again with the correct information. Once completed, send the form to the next level - Association and/or District. Note: the Association or District representatives will only be able to digitally or physically sign the document, not edit it. 2. A tournament application can only be submitted to the state office by filling out the tournament sanctioning packet form via a computer, obtaining all the required signatures and approvals from Associations and/or Districts, then uploading via the below process. You will receive a confirmation email once you have submitted an application. This confirmation email only confirms that we have received your submission; it does NOT indicate that your application has been approved. 3. Any changes made to the application after it has been signed by the Association and/or District must be reapproved and signed by the Association and/or District. This will require starting a new tournament sanctioning application and following Step 1. 4. Tournament sanctioning documents must be submitted at least 90 days before the event is to occur. 5. Once a tournament has been reviewed and approved, the hosting organization will be invoiced for the applicable tournament sanctioning fees. Tournament sanctioning fees ($150) must be paid prior to receiving final State approval. 6. 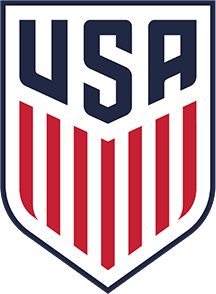 After the State Office receives payment for the sanctioning agreement, the tournament director will be emailed the approved tournament hosting agreement and the tournament will be posted to the Washington Youth Soccer Sanctioned Tournaments webpage. For questions, contact Bastien Catrin at BastienC@WashingtonYouthSoccer.org or 253-944-1604.